There's construction outside your living room window, your two-year-old is crying and the dog won't stop barking. While distractions at home can keep you from doing daily tasks, they get even more irritating if you're trying to work. More than 26,000 senior managers and business owners in 90 countries said about 50 per cent of their employees work from home at least half of the week, according to a recent study by Regus. The study found that despite generally positive attitudes about the idea of working from your couch, 54 per cent of respondents said managers were worried about how they spend their time at home. Earlier this year, Yahoo CEO Marissa Mayer banned employees from working from home, arguing that to be productive, workers should be able to communicate freely and work side-by-side. However, studies have shown the opposite. Employees who worked from home and avoided time-consuming meetings, took fewer breaks and sick days and generally were more productive and satisfied with their jobs, according to The Atlantic. But we get it, distractions are everywhere. 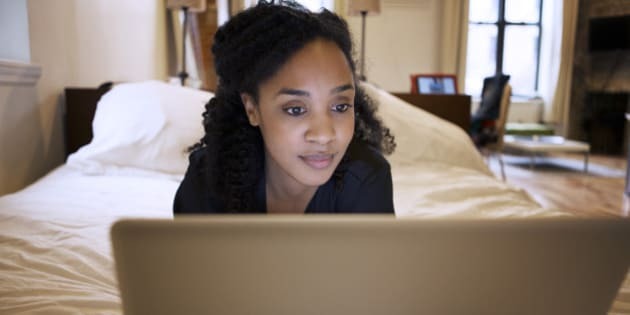 Whether you're snuggling with your laptop in bed or attempting to work out of a makeshift office, here are 10 ways to be a productive employee from home. Are you more productive in the office or at home? Let us know in the comments below.